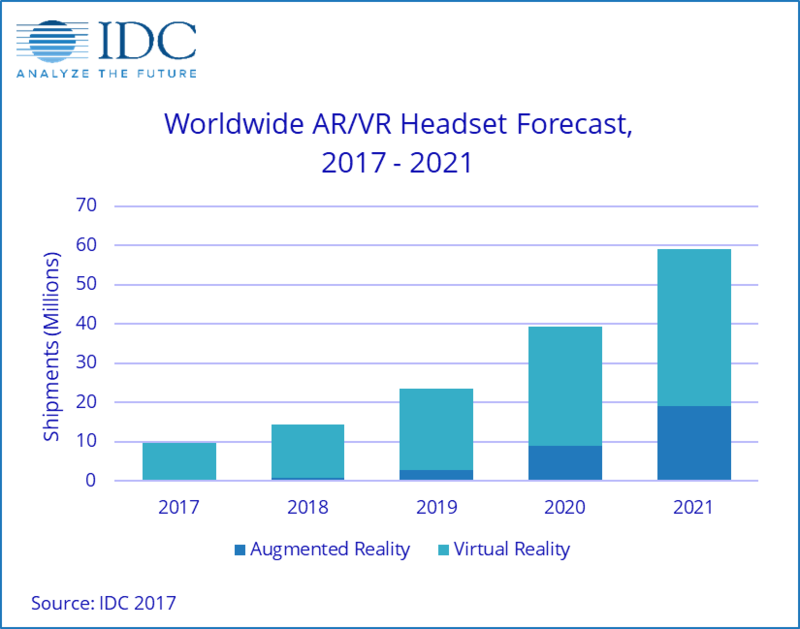 The table represents forecast shipments of Virtual Reality and Augmented Reality headsets only. Any additional software, services, or compute devices (e.g. PC, game console, smartphone, etc.) are excluded.